Hi there! 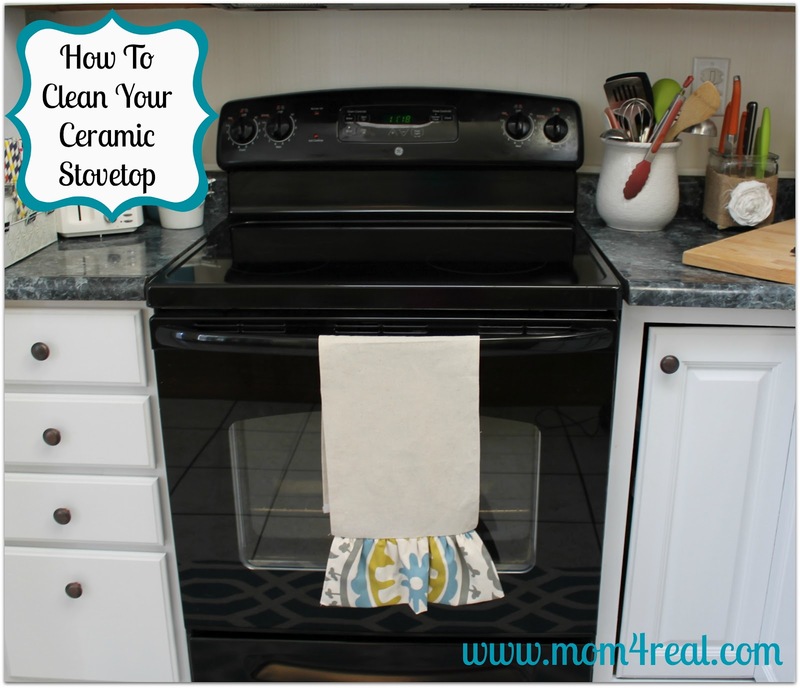 I wrote this post showing How To Clean Your Ceramic Stovetop exactly two years ago…I can’t believe it’s been that long! I shared this post and How To Clean In Between the Glass on Your Oven Door right around the same time, and thought I would share it again since there are so many new readers here at Mom 4 Real! Hopefully it will help you get any nasty spots or burnt on food off of your stove! One of my least favorite things in the world to do is clean my stove…I know, kind of lame. It’s not that I mind cleaning it. I just can’t ever seem to get it clean enough. It makes me nuts! Well, now I have it figured out…I was doing it all wrong. Glass spray alone just isn’t enough. Is this what your stovetop looks like up close? Don’t be ashamed…this is AFTER I had cleaned it. Those are the hard cooked on bits that are almost impossible to get off of your stove. I say almost, because honestly, it isn’t that hard. All you need is a little baking soda! Sprinkle some baking soda on your stovetop. Then grab a scrubber and lightly wet it. Don’t get it too wet, make sure to wring it out. Now start scrubbing the baking soda over the stains. A paste will form, and you just keep scrubbing those spots. Once you think they are all gone, wipe clean with a paper towel or clean soft cloth. If you like, spray with glass cleaner and wipe clean for a little shine. Now your stovetop should be nice and clean!!! Seriously…wasn’t that easy and inexpensive? Works like a charm! Now I don’t have to dread cleaning my stovetop! Looking for more Tips and Tricks, like How to Clean In Between the Glass on Your Oven Door? 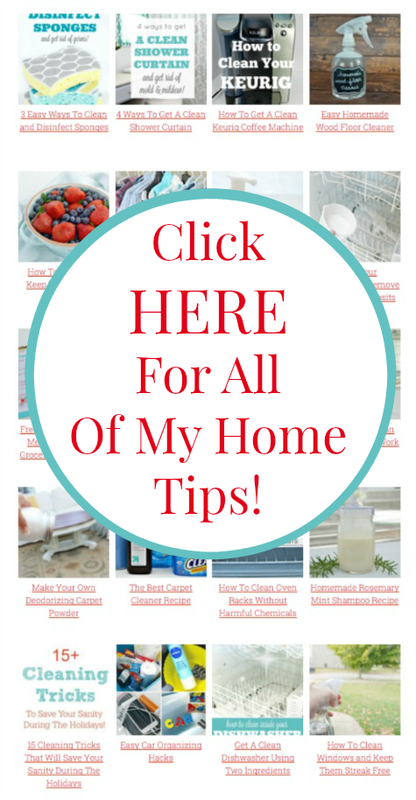 I have hundreds of home tips and cleaning tricks…to access them all, click HERE or the photo below! WOW! You are a sparkling now! Easy easy! I wish I had known this when I had a ceramic stove! I just kept trying and it was a disaster! I use baking soda too but instead of using a little water I use white vinegar. It bubbles and starts getting the dried on gunk loose. After using my scrubbie to get it all loose then I use my all purpose glass cleaner. I’ve also used a straight edge razor type scraper to get off any stubborn stops it doesn’t scratch litke you think it would. We have the same stove! I always bought that special cleaning kit, but no more! Thanks Jess! I needed this 4 years ago when I lived in a rental with this type of cooktop. We all were so nervous we were going to ruin it and not get our deposit back. Now I have a white range stove top and it is a pain to clean. I don’t know if there is an easy stove top to clean out there on the market. Good tip … Baking soda is great, especially when teamed with vinegar. I just scrubbed my sink with soda and it works really well and does not scratch. I have a stove that is 10-12 years old.The guy at the appliance store told me when I got it to use a razor scraper which gets most of it then use baking soda. I have a 10 year old stove.The guy at the appliance store told me to use a razor scrapper to clean most stuff off.Works well.He also told me to use baking soda to finish it.So it’s not a new idea,just not common knowledge I guess. Yes please!! Now, if YOU came over and did my stove…even better :). No really, this is great! Thanks! I really don’t want to clean my stovetop now. But I think I’m going to have to. Thanks for the tip — I think! I thought I’d tried everything! Now, I’m going to try this… hopefully it will make my stove-oh shine! I do the same thing, except I don’t buy all purpose glass cleaner anymore. I have found that just straight white vinegar in a spray bottle works better. I use a dish cloth to clean the extra icky stuff off, then a glean cloth and a little more spray vinegar to make it sparkle. I have the cleanest, shiniest windows, mirrors, appliances, floors, and cooktop, just using a spray vinegar. But I don’t wanna clean. LOL! This is great! i am going to try this! i have stains on my glass top that i thought would never come out!! thank you! learned two things from you today! i have subscribed, so i know i will learn many more!!! bless you! I use “Barkeepers Friend” Cleanser on my ceramic stovetop. It’s also wonderful for stainless steel pots and pans. 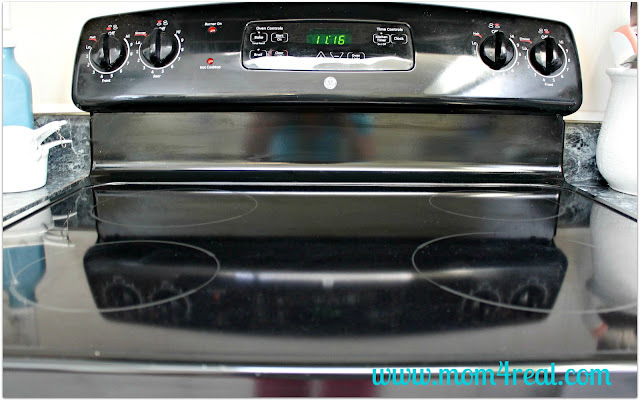 I just cleaned my gas stove top using baking soda and warm water. It took a lot of effort but was well worth it. I did this but it left a white film on top of the stove. I have tried to get it off with vinegar, dish soap, other stove top cleaners. i don’t know what to do now it will not come off. i’m up for any ideas! I have one to add to your idea. I clean my glass stove with a wet pumice stone. I can’t take credit for this one. I was afraid it would scratch it, but it doesn’t. After a meal the pumice stone and your dish cloth clean it right up. Less labor intensive too. I hope you will try it. Isn’t there an easier way with less mess to wipe up? I have heard that the normal yellow sponge with the green scrubbie side was not to be used on ceramic cook tops. They make a special one, the ones I have a re yellow. I use them with the cleaner you can buy for than purpose, works great. I hated my stove too until I was told to use a grey pumice stone on it. You wet it first. It works so well I love it! I was afraid that it would scratch the top but no. I highly recommend it! 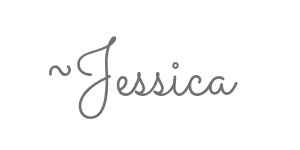 Thanks Jessica for the tips- I will have to try it out! 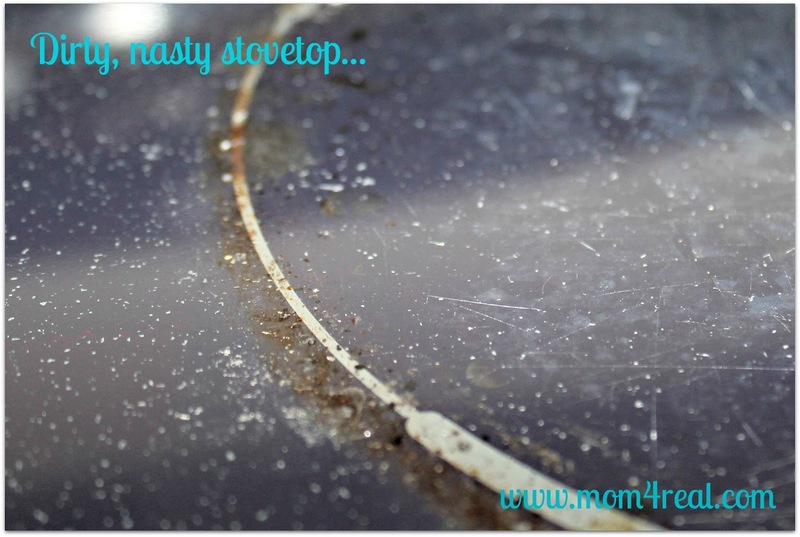 I can’t stop ceramic stove top for that reason – it makes me said just looking at it! I will have to give it a try! Have a nice weekend. 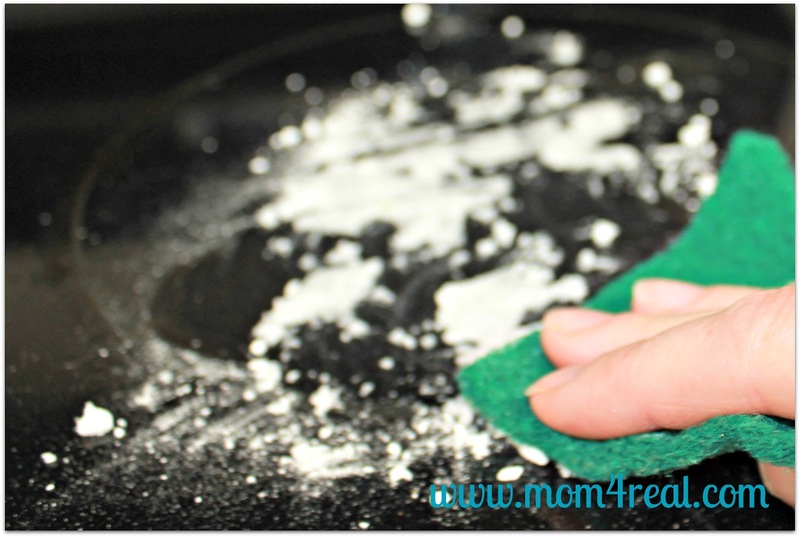 I use a magic eraser on my white stove; it is a miracle how easy it cleans even cooked on stuff – no chemicals! 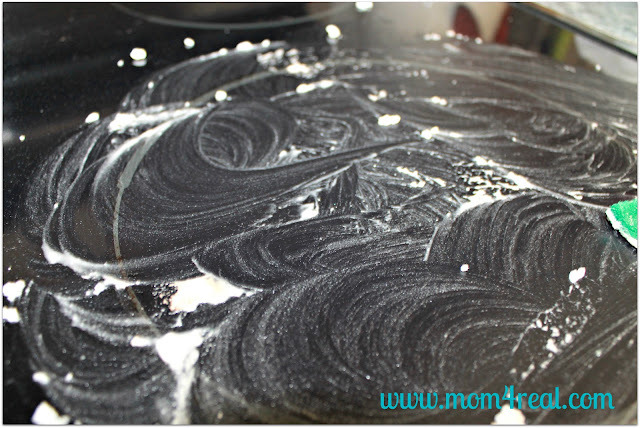 My husband prefers baking soda but that is a two step process, scrub and rinse. I have used scrubbies on my stove top for 23 years. I don’t use ‘scotch brite’ brand but the nylon. Baking soda and copperglo have been all I scrub with. But I wipe it daily with Windex. 23 yrs of no damage from Windex…I thinks its OK to use. Lol. I put bar keepers friend on my stove. Top-add a little water to make a paste and let it sit for a while. It wipes right up with no scrubbing. I love your tips for cleaning in the kitchen. 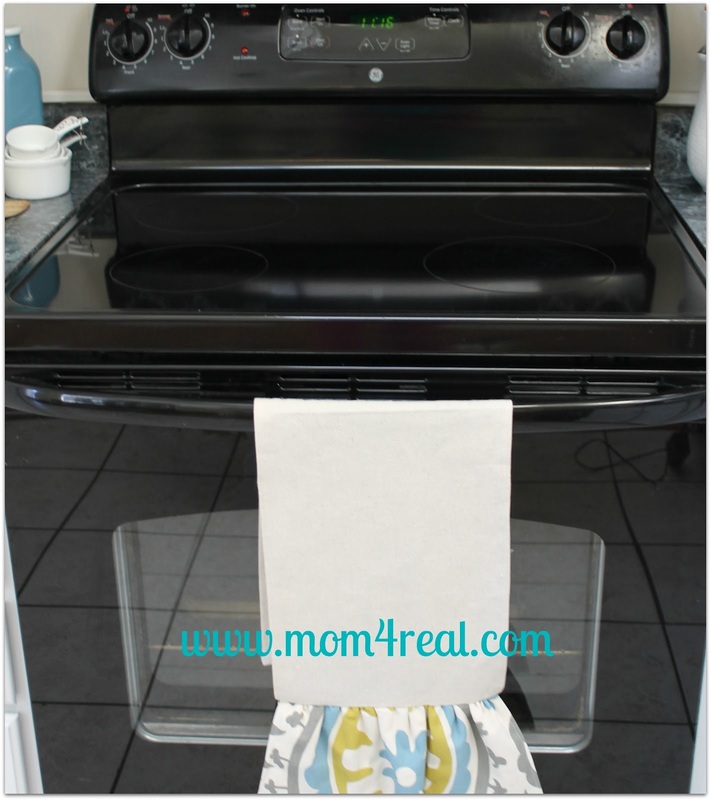 When wiping baking soda off the ceramic stove top, do you use a wet or dry paper towel? I actually had to stop reading your blog to try this. I have the same stove that I had bought last year. I am very ocd and could not figure out how to get the baked on stuff off. So as soon as I read this I ran right to my stove and tried it and omg it worked. thank you so much for the tip. It looks brand new again. How about the oven now???! One of my children left some foil on top of a stove burner, while turning on the wrong one (the one with the foil on it). Now there is foil melted to my glass-top. Any suggestions? Yes, use oven cleaner. spray on, turn your fan on before hand. Let it set for about 10 minutes. wipe off with paper towel, dampened with warm water, and a dry paper towel to buff. this works, it doesn’t damage the surface and no elbow grease required. good as new! Didn’t work all that great on mine. Bar keepers friend works a lot better. I have tried so many brands and cleaning methods. I’ve scratched the top of my ceramic stove with razors and then discovered this, which works and brings your ceramic back to new condition. Good, old fashion oven cleaner. I use the heavy duty, put the range hood fan on and let it set for about 10 minutes. Wipe with dampened paper towel and buff. Wow. When I first used it I was very concerned I would ruin the shine of the ceramic, but to my delight, all was well. I’ve been doing this for about four years now. It takes off burn marks, starch from spattering boiling potatoes, over boiled rice starch and once, a piece of burned on melted plastic, a bag was too close to the cook top. I can’t remember where I read this may work, but it’s the cheapest, easiest method. Just a good coating on the top. Don’t worry about over spray on the back of your range, it wipes right off with no damage, again, just shine left. I also have a glass table. I have learned that a paint scraper works wonders for the really stubborn cooked on stuff, or syrup that doesn’t get wiped up right away from our kitchen table. I use baking soda and white vinegar on both. Dish soap is great, also, in between the heavy duty cleanings. It never fails, as soon as I’ve gotten my stove top cleaned, something boils over again and I have to clean it again. I like your site, and thank you for the tips. I add a drop of Dawn on the baking soda. Works really well Bc cuts any greasy cook on messes. We just got a new stove with a ceramic top. I had a couple stubborn spots already. This worked amazingly well. Thank you! Thank you! I can’t even believe it- I’ve tried everything and then gave up and searched. THIS IS AMAZING! How do you soak oven racks when all you have is a shower?